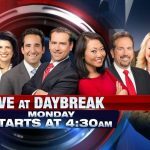 Making a newscast is a fun, interesting and challenging way to communicate information to your audience. Here are some tips and suggestions to make your video production outstanding. Prepare your script to be read by you and your cohost to the audience. You should try to memorize as much of this script as possible so you can look at the camera. Here is a script template for you to download and use. Be sure to share with your cohost so you are working on the same document. Decide what images and pictures you want to use. Your pictures should relate to what you are talking about. For example, if you are talking about rabbits, then you will want pictures of rabbits. Find many different pictures to choose from. Record your script (hopefully you memorized) using iMovie. Be sure to look at the camera as much as possible to keep your audience happy. They want to feel like you are talking to them! Create an introduction with music and lots of flash. You will put this in before you begin recording your script. Watch sample #1. Download if you like it. Watch sample #2. Download if you like it. Watch sample #3. Download if you like it. Watch sample #4. Download if you like it. Look directly at the camera as much as possible. Are You Using the Read/Write Chrome Extension? 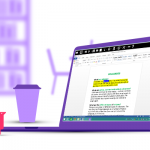 Read/Write is an easy to use and powerful Chrome extension that supports all types of learners in the middle school. We have a site wide super license that students and teachers can use. Most students already have the extension, but if they don’t, they can go to the Chrome web store and install it for free. Check out the videos below for more information. The first one features ISB students and teachers. It was shot by a former ISB student. We are moving to an online Leave Application system for Certified Staff. This Leave Application System was suggested by the Faculty Association, and is inline with our efforts to better use technology to improve school operations. The system we chose is called ‘Calamari’ (….don’t ask, I have no idea). Calamari is built on G-Suite, meaning it’s accessible through your School Google account, or if your prefer there is an App for all smart phones. 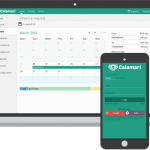 Aside from processing leave applications, Calamari allows you to view your personal accrued leave and approval status. Take a minute to watch this short video to see how to use the system. If your leave request requires a ‘sub’ we’d ask you still contact Khun Kaew : 087 980 3380 <kamolrak@isb.ac.th>. In the future as we build trust in the system, we believe this can be fully automated an complete online. If you have any questions, feel free to email me. Configuration for Calamari App: The initial setup of the Calamari App requires a URL, use this address: isbangkok.asia and then login to the App with your School Google login. Teachers shall receive sick leave not to exceed thirty (30) working days per year. Sick leave credit shall accumulate to a maximum of ninety (90) working days. Sick leave days are not reimbursable upon termination of service. You have an upset stomach. You go to the doctor to get treatment for the upset stomach. Up to 5 days of accrued sick leave per year may be used by the employee to attend to the illness of a spouse or child residing with the employee in Thailand. Your child is sick and unable to come to school. They require parental presence either because of their age or the nature of the symptoms. A maximum of three days may be used annually for personal leave. Although a statement of reason for the personal leave is not required, the request for the use of the days should be submitted for approval to the respective school Principal as far in advance as possible. Bookings (e.g. flights) should not be made until approval has been given. The intent is that days may be used for personal matters that cannot be attended to on days when school is in session. Examples of such matters include (but are not limited to), Special family events, Embassy, Banking business, Recruiting, Arrival of movers, Compassionate Leave, Scheduled medical appointments, Physical check‐up. Personal days may not be taken in May or June or immediately preceding or following a school holiday or vacation without approval by the Head of School. In order to complete the purchase of a house back home, you have to get particular documents notarized, transfer money at the bank, an/or meet with someone handling the paperwork. All of this can only happen during business hours of a work day. You have a scheduled medical appointment not directly related to a current sick leave or need to have your full physical (the one that takes most of a day). A maximum of up to 10 working days shall be allowed for death/ burial/ cremation of an immediate family member. The immediate family is defined as spouse, parents, siblings and children. Approval should be obtained in advance by Principal before arrangements are confirmed. Accompanying students on a grade level trip while some of your other classes are still meeting at school, requiring a substitute. 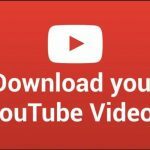 YouTube is a rich source for videos and I/we use it all the time for lessons at ISB. Sometimes, though, I will go back later and that video is gone. Or maybe I am giving a presentation and can’t rely on the internet. Fear no more, easy downloading is here. It will send you off to another site with a link to download it. Download it and life is good. Note: the website is free and sends you to some junk websites for advertising purposes. Just close and ignore them. 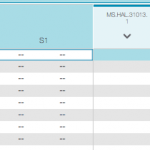 Hat tip to Cindy for helping us understand how to stop the average in Powerschool. This screen cast, and the material below, supports making that change. As of Fall 2018, the portfolio program SeeSaw is now set up for all students in the ES and MS. 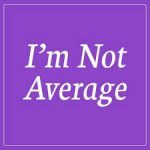 This means every student has an account and every teacher has a class. Seesaw is a remarkable portfolio program that easily allows students (yes they do the work) to share what they are doing in class. They can take pictures, videos, record their voice, annotate their work and more. Both iPads and laptops make great Seesaw devices. Record work that has been done and annotate (draw on it) as the student explains what they learned, etc. 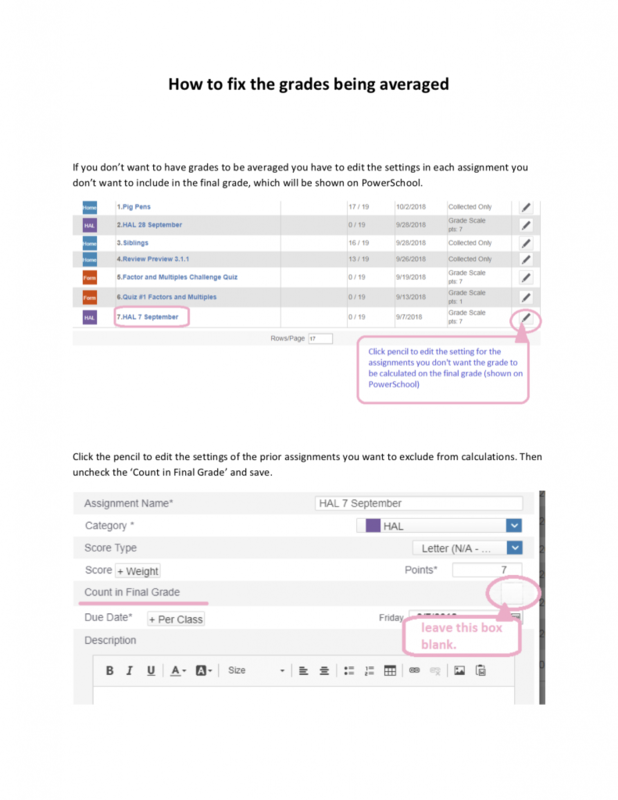 Share notes and events in the classroom with all parents with one click. Portfolios role over from year to year. Students, teachers, and families can see their past work. Students log in to Seesaw using their Google Accounts in the MS. Students in the ES usually use a QR code posted by the teacher in the classroom. 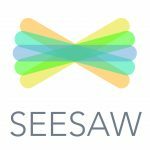 Find additional Seesaw tips and articles here. Setting up parent groups each year in Gmail is a helpful way to communicate. This tutorial explains how to setup groups. 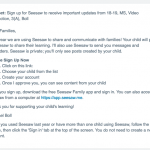 Ready to add parents to SeeSaw? Watch the video below. 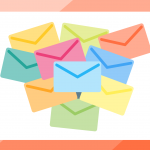 Wondering how to collect all parent emails? See this post for help. Powerschool has an email all parents option you can use, however, you can also export those emails and then add them to Google Groups you create in Gmail. Much nicer actually! This video explains how to export them.